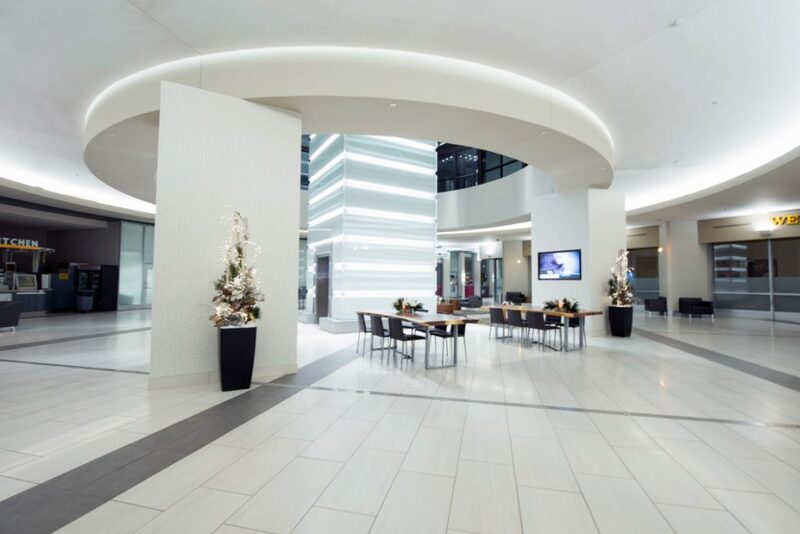 VERTEX was awarded the $1.8 Million Capital Improvements contract for Independence Plaza, a Class A High Rise Office Building in Downtown Denver. 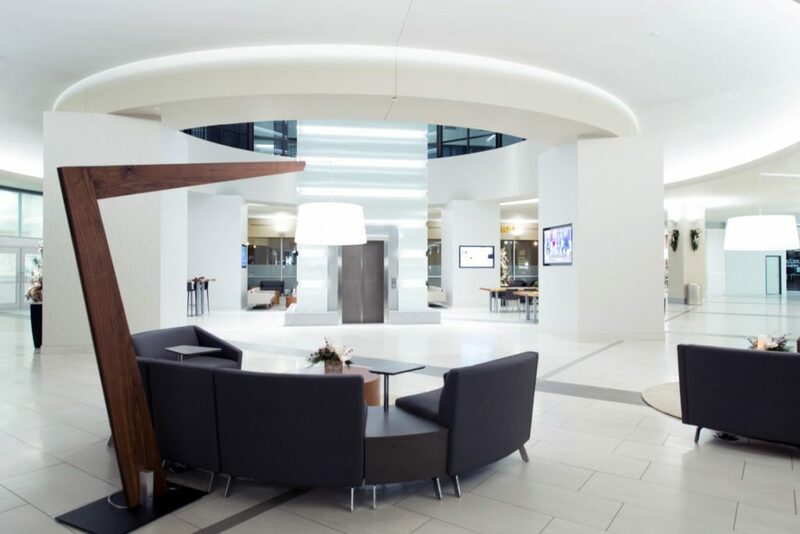 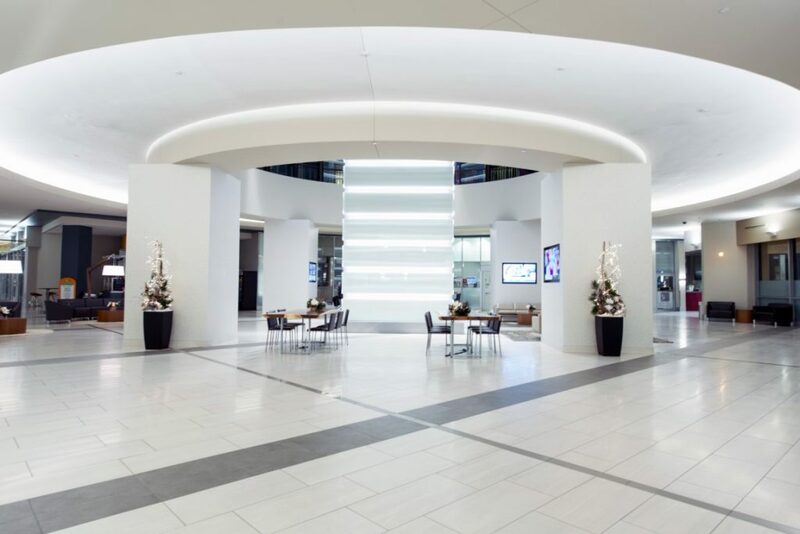 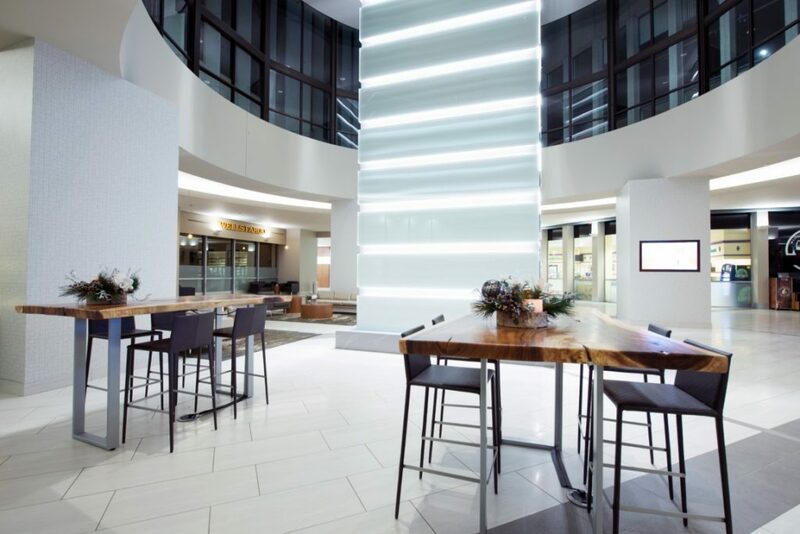 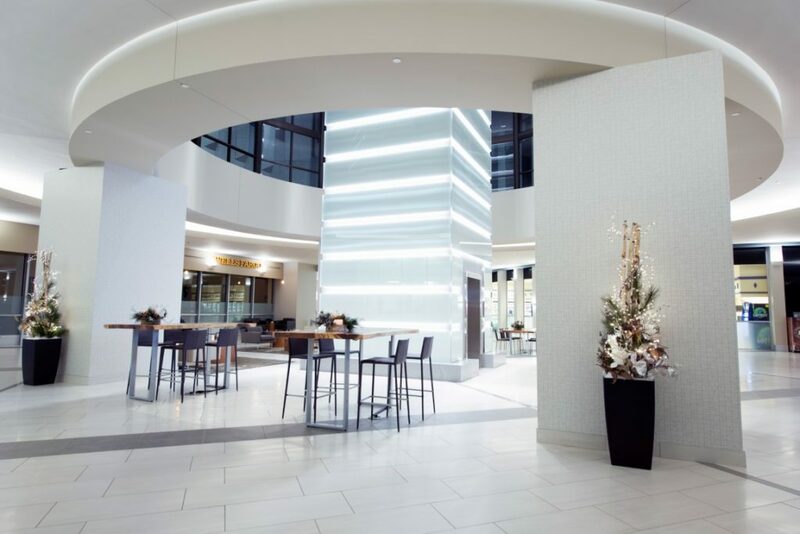 Our team recently completed the massive renovation of the ground floor lobby area, including removal of the floor to ceiling granite fountain. 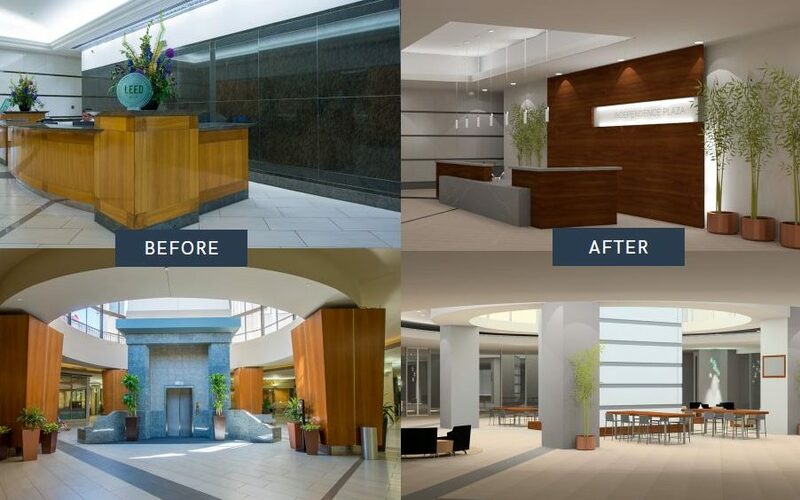 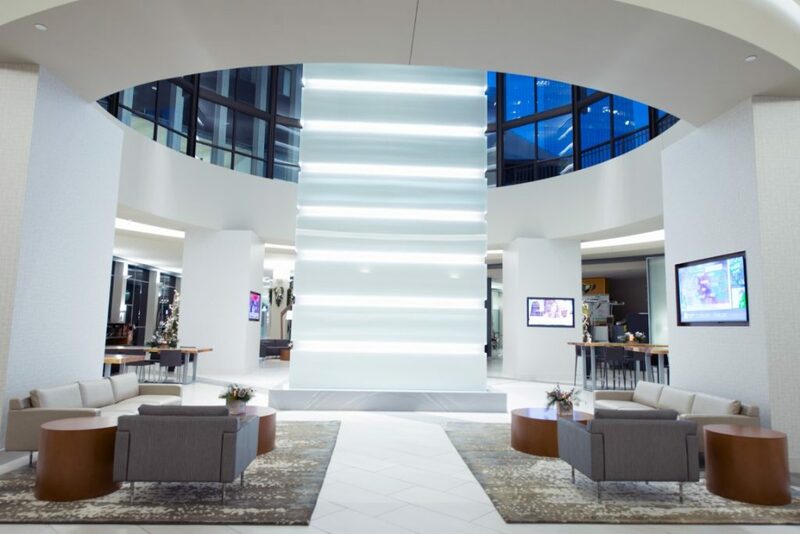 VERTEX worked closely with the architect to rejuvenate the look and feel of the building to remain competitive with the downtown office market. 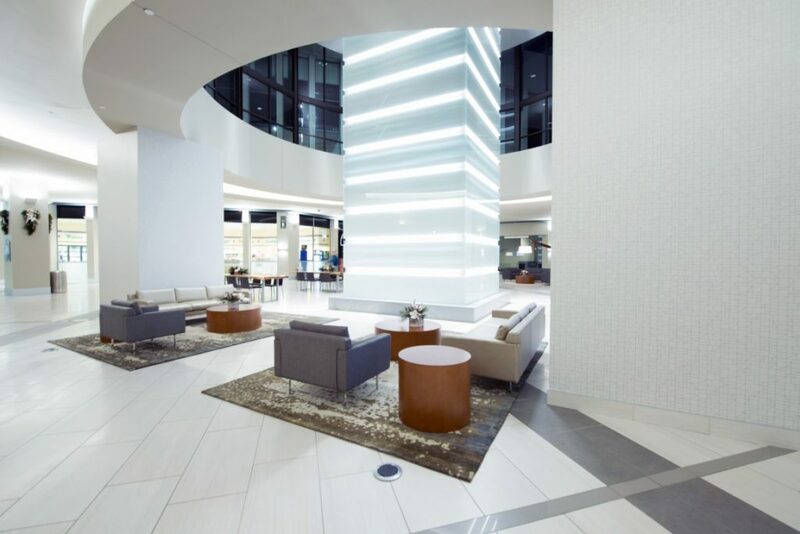 VERTEX crews utilized custom temporary walls to confine construction noise and debris. 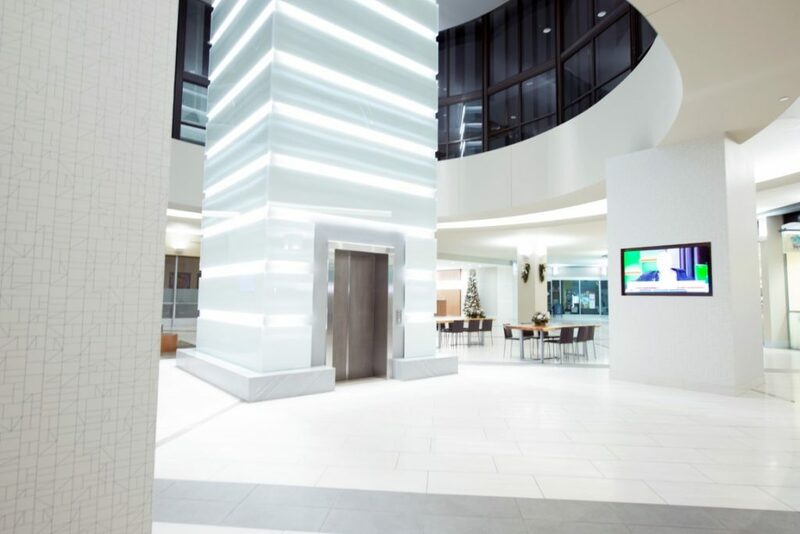 These walls kept occupants and visitors informed about the project as well as keeping them safe from construction hazards and assisting in wayfinding. 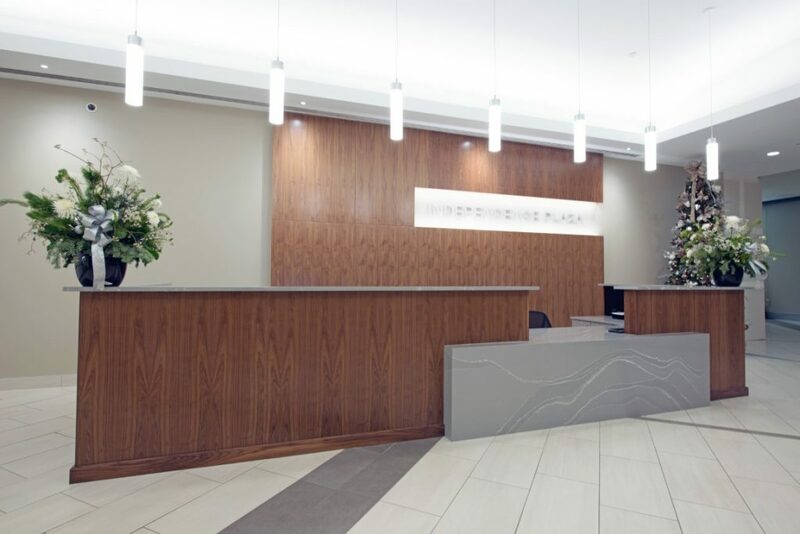 Independence Plaza now welcomes guests and tenants with sleek design and optimal use of common area space. 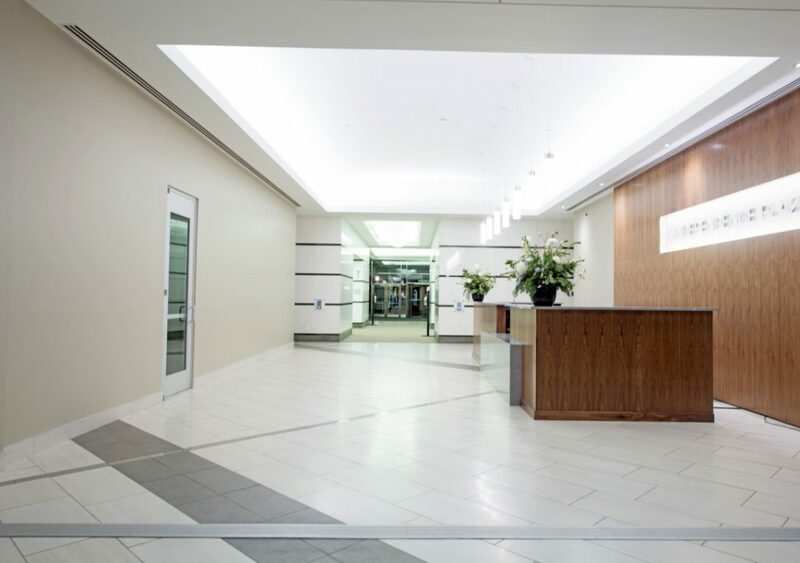 The renovated lobby was unveiled in the Fall of 2018, on time and within budget.